Intel i7 7700K owners have flooded the company’s official forum with countless reports and complaints about overheating issue that sends their CPUs’ temperatures shooting up to 90+ degrees Celsius with very minor computational loads and in some cases even when the processors are idling. The complaints have been piling up for over three months prompting Intel to finally end the silence and respond to the cries of the community yesterday. “We appreciate the feedback you have provided, and your patience as we investigated this behavior. 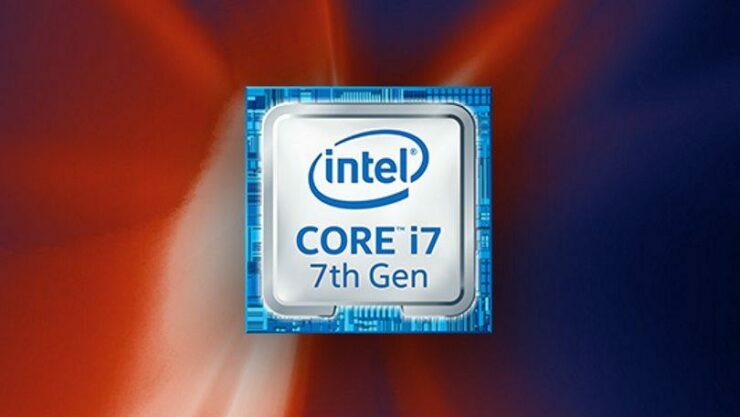 The reported behavior of the 7th Generation Intel Core i7-7700K Processor, showing momentary temperature changes from the idle temperature, is normal while completing a task (like opening a browser or an application or a program). In our internal investigation, we did not observe temperature variation outside of the expected behavior and recommended specifications. For processor specifications, please refer to the Intel Core i7-7700K Processor Product Specifications. Intel states that the temperature spikes and variations in their testing do not exceed the maximum safe temperature which is stated as 100c for the i7 7700K. Intel maintains that this behavior is normal and not unexpected. The company continues to state that it recommends against overclocking, overvolting or de-liding the CPU. Users who choose to do so will void their warranties. Unfortunately Intel’s response did not sit well with the disgruntled owners who claim to be experiencing this overheating issue at stock settings without applying any additional voltage or raising the frequency reports PC Gamer. The TL;DR version is that everything checks out on Intel’s end and users should not overclock their Core i7-7700K processors, which have unlocked multipliers specifically for overclocking. “Three months waiting for Intel to come out with a solution, and now this?! This is all you can say?! We know already what you’ve just said… You know what, never mind, this would be my last product from Intel,” the user wrote. “I don’t even have the major issue like everyone else is having. However, after Intel’s response just now, they are not getting another penny out of me. I’m going to sell my Intel stuff and go to Ryzen,” yet another user wrote. What’s bizarre is that Intel doesn’t seem to understand or acknowledge that the reason so many i7 7700K owners have proceeded to de-lid their chips is precisely because they ran too hot. The process of removing the IHS is quite risky and can irreparably damage the CPU by directly damaging the silicon die itself. Which is understandably why it voids the warranty. Despite the incredible risk, enthusiasts choose to do it because it can shave up to 25 degrees off the temperatures. One would think that if you have to go out of your way to attempt such a risky endevour just so your CPU wouldn’t overheat then there’s something clearly not right. This is one of the reasons why many of the i7 7700K owners who have taken to the Intel forum to air their grievances were the least happy about the company’s response. After all the i7 7700K’s main selling point over the i7 7700 is that it features an unlocked multiplier specifically for overclocking. And now owners are being told that not only are the high temperatures normal but that they shouldn’t even attempt to overclock their CPUs. The very same CPUs that were specifically marketed and sold with overclocking as a feature.